A few months ago, we started a section here in EdTech and mLearning where we feature resources related to the use of Minecraft in education. Besides the collection of books we recommended in this regard together with the newly released Minecraft platform for educators, today we are sharing with you some of the best iPad apps to help you learn everything you need to know about Minecraft. These are basically guides covering a wide variety of topics related to Minecraft play from how to craft items to guides on how to defeat the new dungeons. 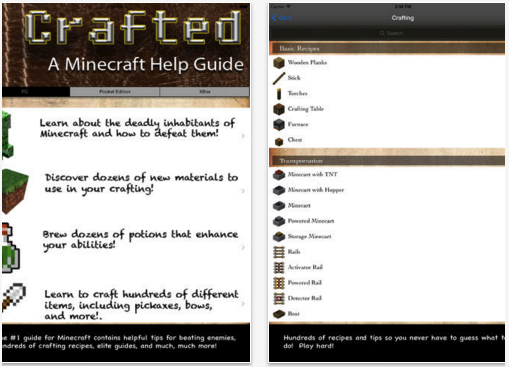 This is one of the most popular Minecraft reference app with over 200 million downloads.Crafted: A Minecraft Help Guide is an unofficial help guide filled with recipes, guides, tips, and tracks to help you play Minecraft. Some of the features provided by the app include: dozens of recipes, including a comprehensive list of potion recipes and ingredients ; item Codes; enchanting guide and reference and many more. 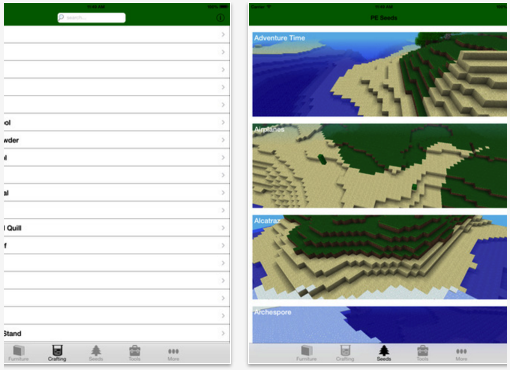 This is another unofficial guide to help you master Minecraft’s immersive environment. It offers a furniture guide with over 80 items, a guide to create cannons, most reliable seeds with pictures, recent news for Minecraft and free updates. Minecraft Explorer Lite is the ultimate free companion for any Minecraft player. 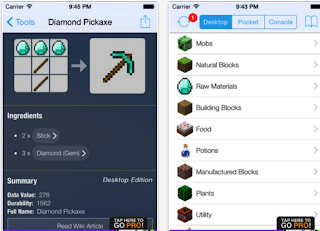 This app lets you find out about Minecraft for free! 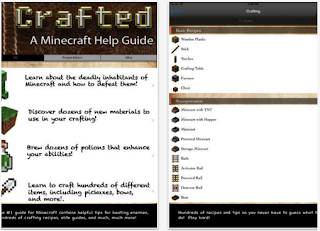 (with ads); search for items and potions by name; look up hundreds of item recipes with detailed information and videos, now includes potions; design your own Minecraft skins* (optional extra), upload to Minecraft or share with the world ; explore thousands of online servers - all checked daily to ensure offline servers are not displayed and many more.